There are minor variations in Honda Vezel Hybrid 2018. 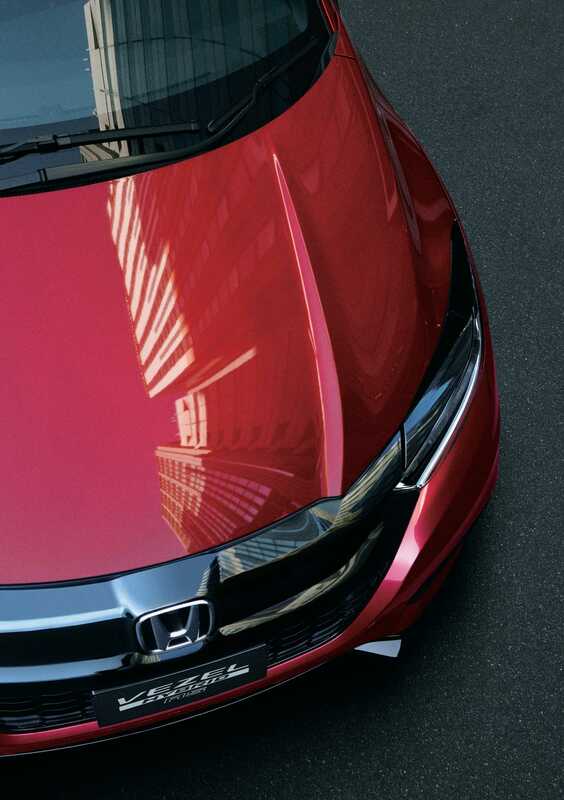 In the exterior of the car, there is a slightly bigger Honda logo with a bigger front grille. 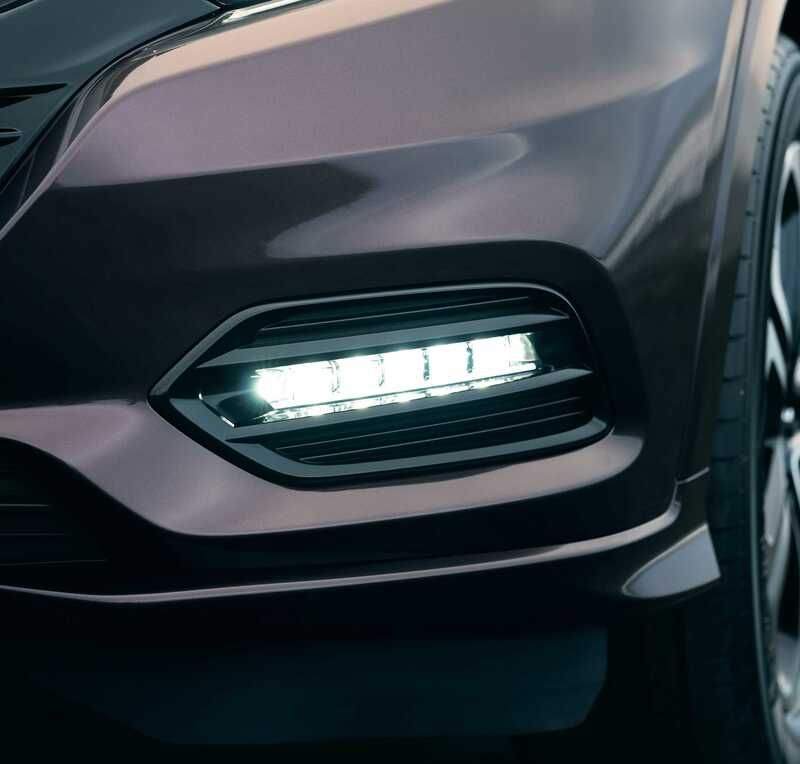 The car has LED headlamps and the fog lamps are comparatively bigger. There is design modification in the bumper of the car too. 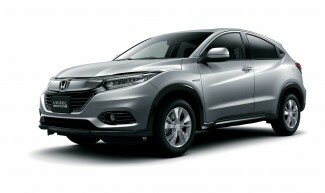 Honda Vezel has got an excellent facelift, it has Honda Sensing, a revolutionary feature in all many Honda models. 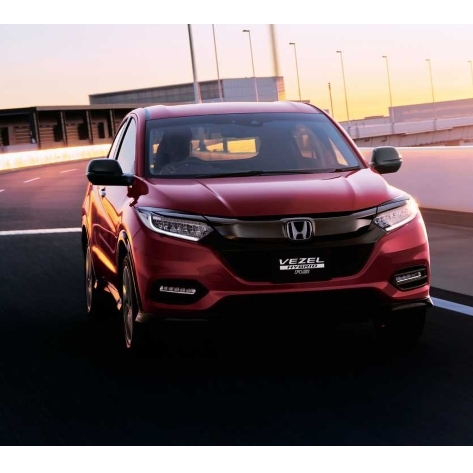 Honda Sensing is an exclusive safety feature that permits the driver to stay constantly alert to many driving necessities that he/she might have missed without these alerts. 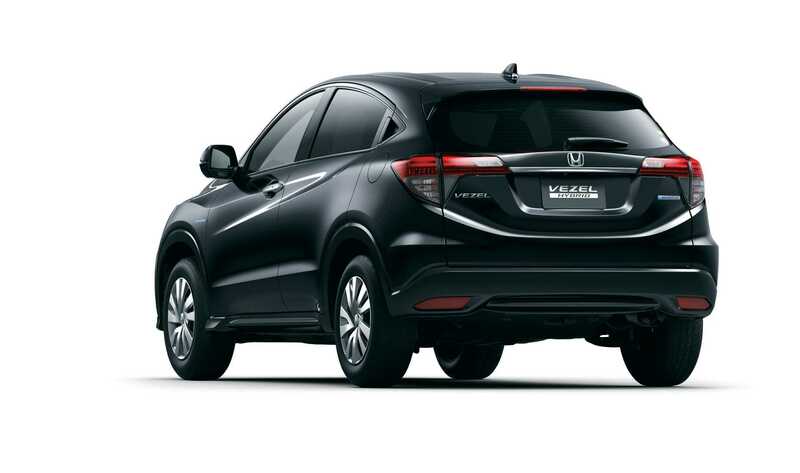 Many driver-assistive tech features are incorporated in this Honda Sensing to keep the driver vigilant and attentive. 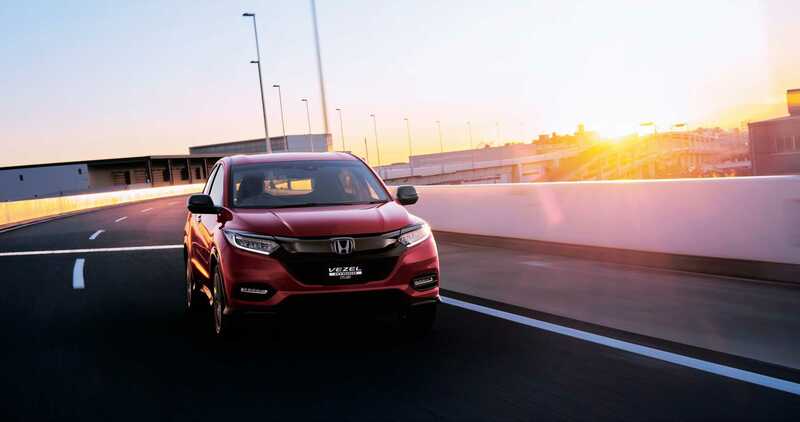 Major features of Honda Sensing are road departure mitigation system, collision mitigation braking system, control (ACC), lane keeping assist and low-speed follow adaptive cruise. 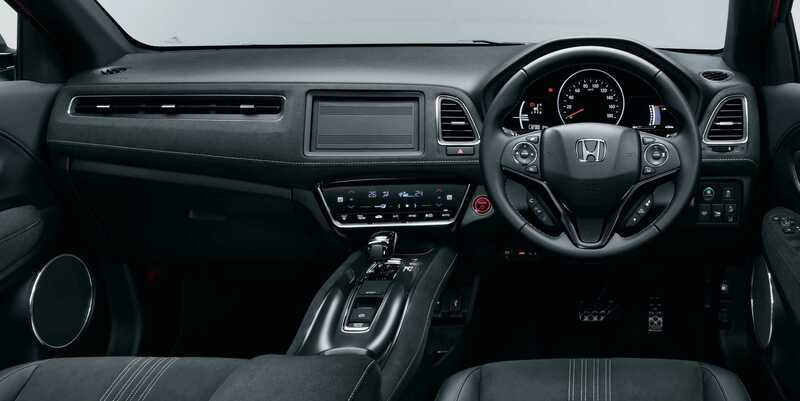 The interior of the car has afresh and modernized infotainment system. 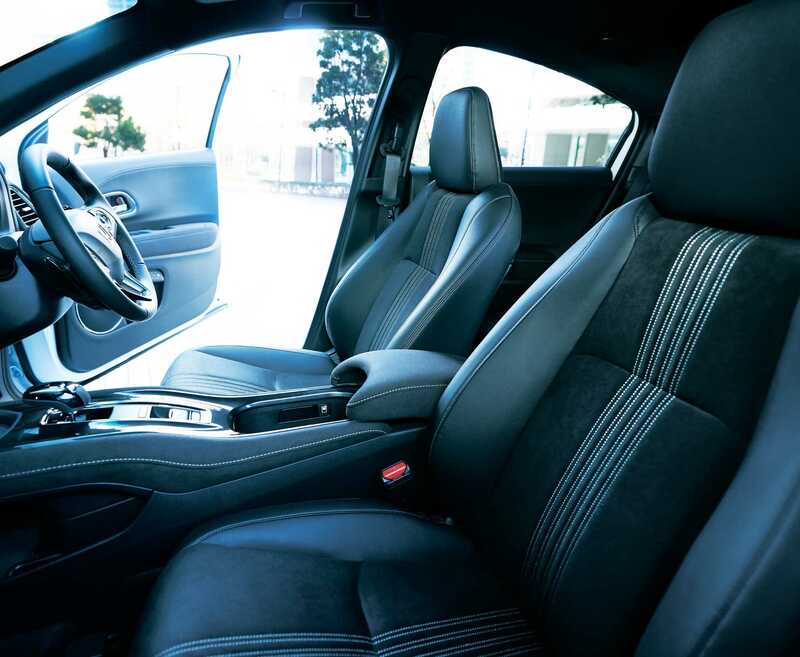 It is compatible with Android and Apple CarPlay.The car has seat leather-trimmed, automatic climate control system, push start-stop button, Bluetooth connectivity and a monitoring system for tyre pressure (TPMS). 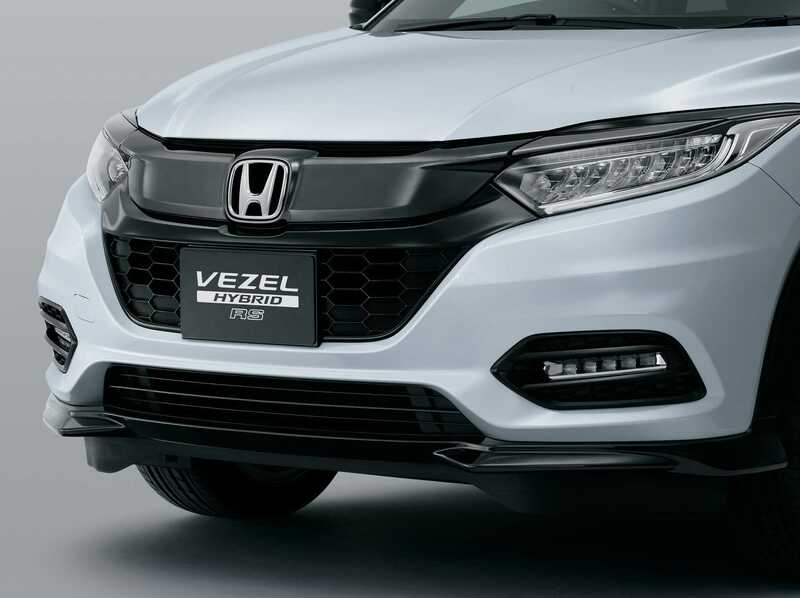 Front and rear seat passengers have plenty of space in Vezel 2018, and ample cargo space as well. 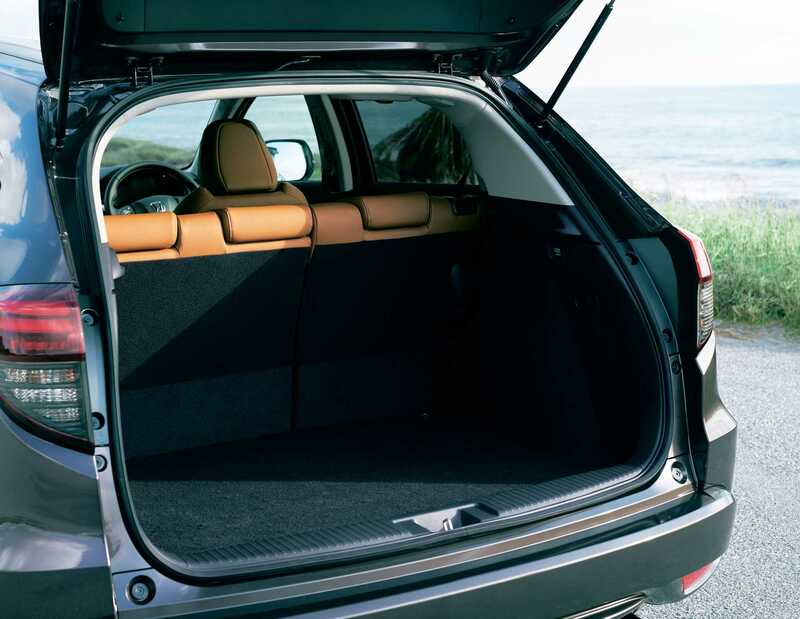 With flipping & folding seats in plentiful ways, a lot of cargo items can be easily accommodated whenever it is required. 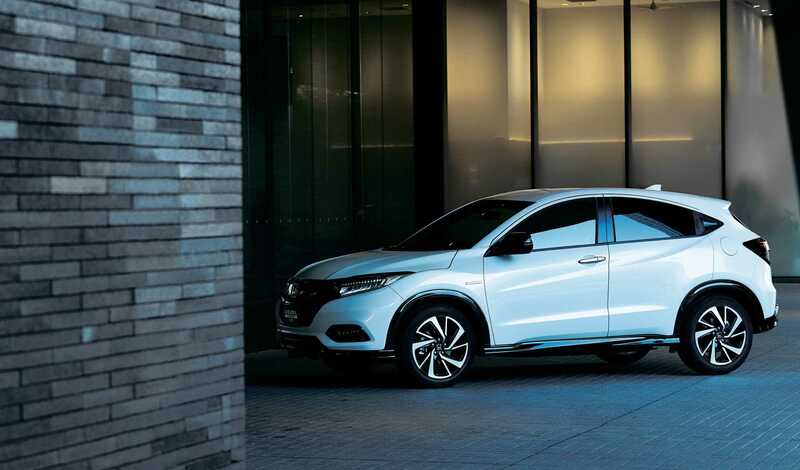 Just like its precursor, Honda Vezel 2018 is a hybrid car as well. 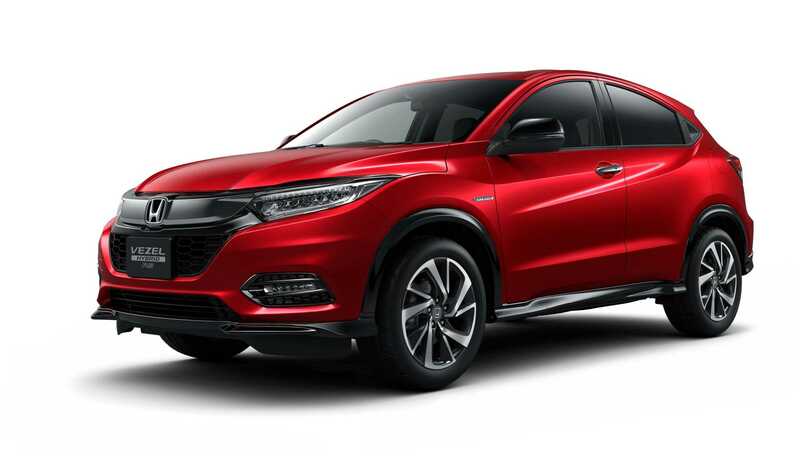 After its release in Japan, the car is also launched in ASIA under the name Honda HR-V.
Honda Vezel 2018 is available in 1.5-litre i-VTEC hybrid engines and 1.5-liter i-VTEC petrol which are inherited from the old model. 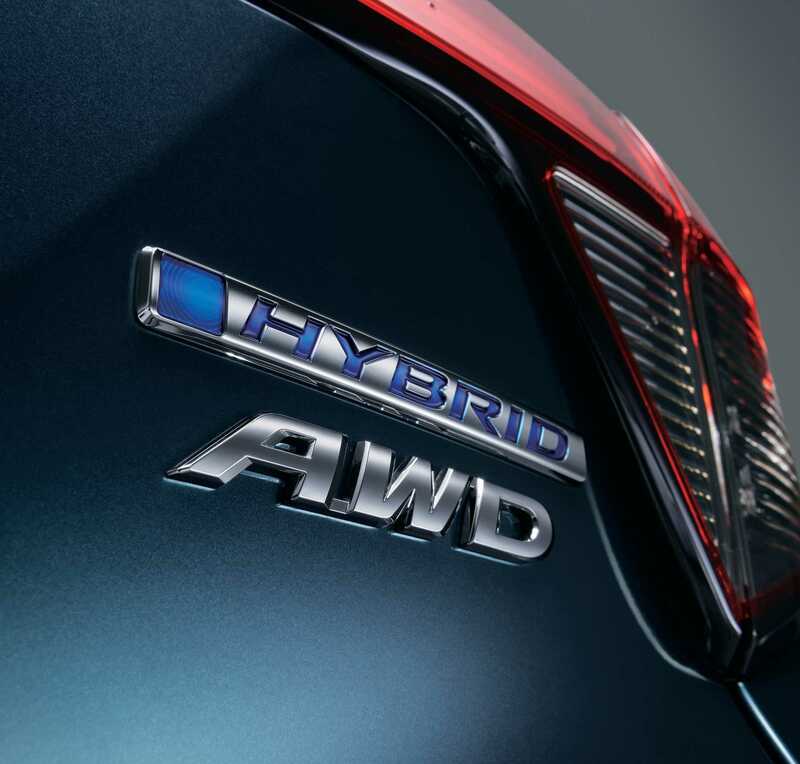 In the hybrid version, the company has smoothed out the brake feel and re-tuned the Sporty Hybrid i-DCD system which offers highly responsive acceleration. Honda Vezel has added vibration damping material in the petrol version. 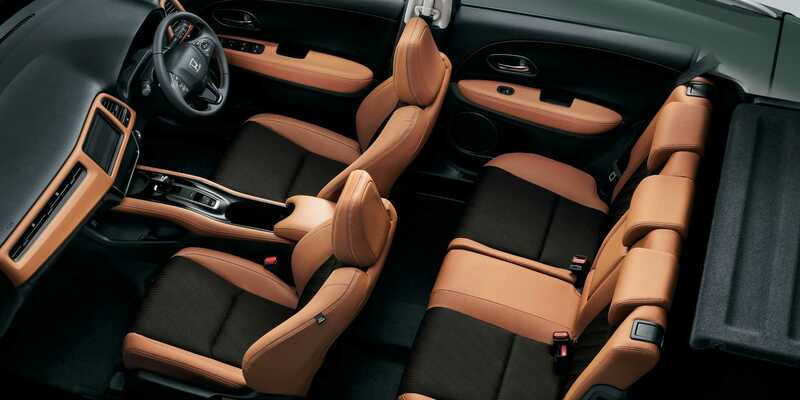 The fuel pump inside the engine is redesigned which lead to a quieter cabin. 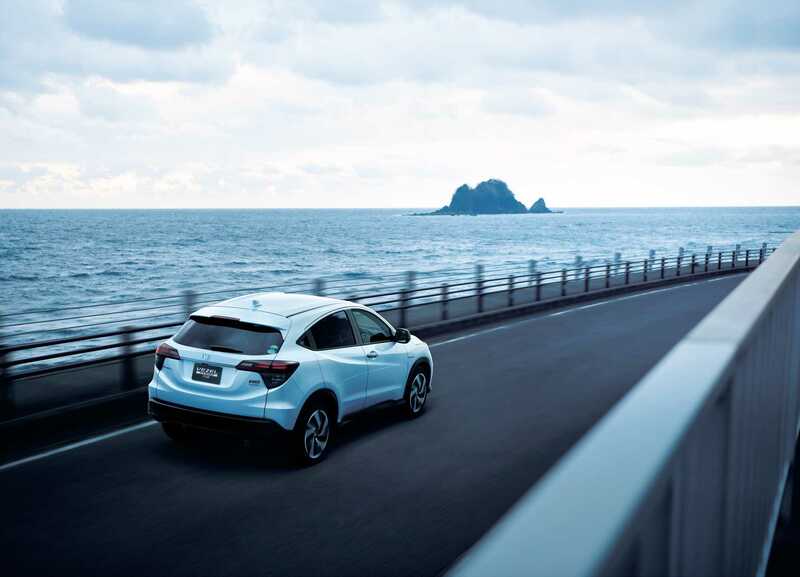 Cam chain friction is significantly improved, resulting in an enhanced fuel economy from 20.6 km/liter to 21.2 km/liter (JC08 cycle). 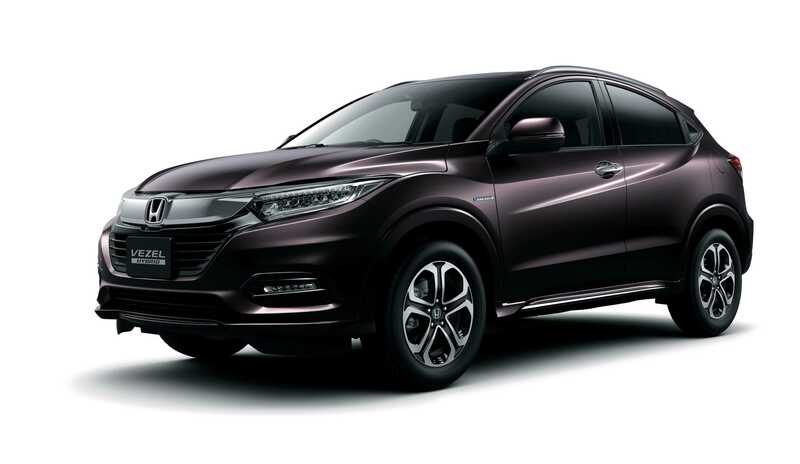 And the 4WD system now provides a more reliable and excellent ride when turning on slippery road surfaces and climbing uphill.